Cheap, fast and really good. I mean really.. really. GOOD. One of my favorite cuisines is Chinese, and on the way home from a errands trip to Banawe, we passed by Eat Fresh Famous Street Food, I thought to give it a try since I was already craving Chinese. Once parked, I saw the cooking area where there were different skewers lined up, from squid balls, yakitori, isaw, and takoyaki. I was already excited. 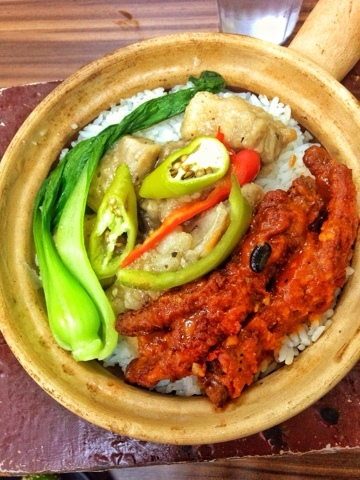 I ordered their Chicken feet and Tausi Spareribs with rice on a Claypot. For this price, it’s like having a 2-piece chicken meal from a fast food restaurant. The spareribs were soft, the rice was excellent, and the chicken feet were tasty. They also provide you this soy sauce that you add to the rice for more flavor. Another thing I ordered was the Asparagus wrapped bacon, as well as the Shitake wrapped bacon. I LOVED this. The bacon was perfectly wrapped over the shitake and asparagus, giving you that umami taste. The crisp, salty bacon contrasted well with the sweet teriyaki sauce. Overall, Eat Fresh Famous Hong Kong Street Food is a hole in the wall with a lot of promise. Don’t expect great ambiance and clean bathrooms. What you can expect is great food at an affordable price. I’ll definitely be back! 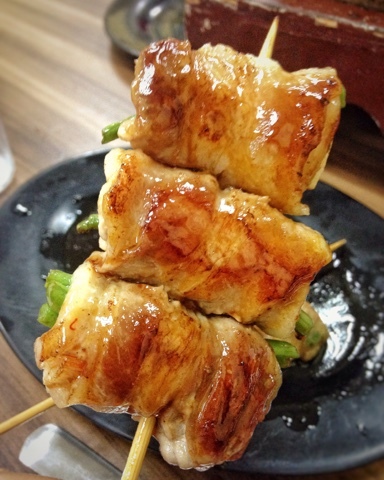 Insider Tip: Don’t forget to try the Shitake wrapped bacon. It’s to die for! They also sell shakes by the liter, you shouldn’t miss out on those. DON’T GO ON A SUNDAY, They’re CLOSED.